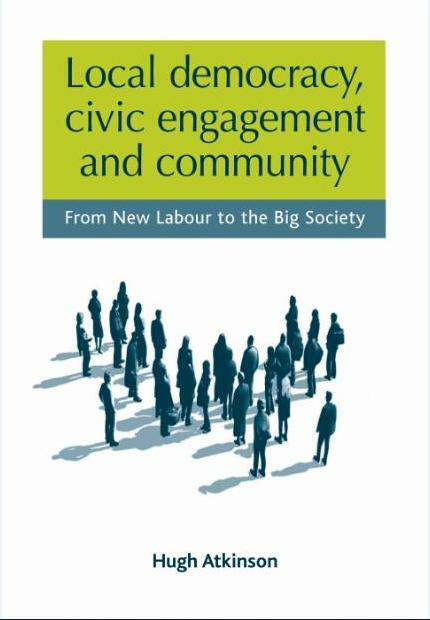 This accessible book includes an analysis of local democracy, civic engagement and participation across a range of policy areas and in the context of debates around accountability, legitimacy, sustainability, localism and the ‘big society’. Drawing on a wide range of examples, Hugh Atkinson argues that local democracy is a vibrant terrain of innovation, civic engagement and participation, and dynamic community activity. The book’s insights will prove invaluable to any students, lecturers and local government officers interested in mapping the shifting terrain of contemporary local governance in England, writes Andrew Wilkins. In a recent British government spending review Chancellor George Osborne introduced further reductions to local government funding, this time 10% for the period 2015-16 (equivalent to £11.6bn). The predicted result: further local government job losses (around 144,000) and an increased public sector outsourcing market. In this very timely book Hugh Atkinson traces the culmination of these effects and their roots in 30 years of Conservative and Labour policy. Taking examples from past and recent initiatives, Atkinson highlights the diversity of local governance arrangements and their importance for enabling future local accountability and sustainability in public services. The recent announcement from Chancellor George Osborne that local government in England will face further budget cuts for the period 2015-16 should come as little surprise to anyone familiar with the ultra-liberal strand of Conservative political thought – or recent Labour policy discourse for that matter. Since the 1980s both parties have reprised their role as pro-market agitators with little or no confidence in local government. Fittingly the period 1980-present frames the policy context for Atkinson’s book. Local Democracy, Civic Engagement and Community: From New Labour to the Big Society. Hugh Atkinson. Manchester University Press. September 2012. During this time, public services in England have undergone unprecedented marketisation and privatisation of its resources and power. Today local government is expected to survive only by being dynamic, flexible and sufficiently business driven. Atkinson’s observation is clear enough – local government lacks constitutional autonomy and formal powers outside the purview of a pro-market central government. But what about the Coalition government’s ‘big society’ promise to empower local government and communities? Atkinson highlights the contradictory terms of this settlement: central government empowers local government to act but only on the basis of imposed targets, provisos and legislative frameworks. The strength of this book lies in Atkinson’s policy commentary which nicely captures the gap between hyperbole and reality, between central government policy rhetoric and really existing local government powers. Using the example of the Decentralisation and Localism Bill (2010) Atkinson signals the caveats to local government rule: ‘central government may not be able to tell the local government pipers the exact tune to play but it does have significant control over the quality of their instruments’ (p. 73). Unlike other European countries (France, Spain, Hungary and Germany, to name a few) in which the constitutional framework of local government is enshrined in basic law, Atkinson reminds us there is ‘no general power of competence for local councils in England and Wales’ (p. 50). In other words British central government has not relinquished its power to steer local government at a distance. At the present time public outsourcing contracts in the UK are worth more than £3.7bn annually, making the UK the largest outsourcing market outside the US. This means that services at one time provided by local government are instead being put out to tender, in turn creating massive opportunities for voluntary, community and private sector organizations and actors to shape public service delivery. In chapter 6 Atkinson uses recent examples from local government initiatives to illustrate these trends, chief among them the cooperative, mutual governance (or ‘John Lewis’) model which aims to create partnerships or mutualizing agreements between service providers and their users; the ‘Easy Council’ in Barnet, London which enables local residents to top up basic council-funded services using their own money; and the ‘Virtual Authority’ of Suffolk County Council where local government performs the role of commissioner, outsourcing public contracts to social enterprises, businesses and community organizations. In each case local government is engaged with citizens, communities and businesses, in some cases opening up democratic spaces for shared ownership of public resources and local citizen participation in political decision making processes. In chapter 5 Atkinson highlights further examples of local dynamism, this time drawing attention to aspects of local government and governance (governing without government): citizens’ panels, local referenda, participatory budgeting, neighbourhood partnership meetings, community forums, parish councils and virtual communities. For Atkinson the value of these local arrangements is that they help to ‘develop and underwrite local civil society and shape and build social capital’ (p. 23). And here we get to the crux of Atkinson’s argument. This book was conceived by Atkinson as a ‘counterweight to the many negative accounts that seek to dominate our political discourse with their talk of political apathy and selfish individualism’ (p. 1). Atkinson encourages us to think outside conventional understandings of political participation – elections, political party membership and local political institutions for example – and instead recognize the plurality of spaces and collectives through which alternative forms of political and civic engagement are currently being imagined and mobilized (for more sophisticated analyses of these topics seeRethinking the Public edited by Mahony et al). Most importantly, Atkinson demonstrates how the changing role of local government is interwoven with these developments, developments which may help to facilitate and sustain the conditions for future mutual support, trust and reciprocity in local community. These insights will prove invaluable to any students, lecturers and local government officers interested in mapping the shifting terrain of contemporary local governance in England. In light of these observations we can begin to question whether political participation in England has in fact declined. Atkinson’s response: ‘Perhaps we are looking at the issue through the wrong end of the lens…Significant changes in the local space over the last decade have seen a shift away from formal local government structures and institutions as the principal locus of policy shaping and service delivery to what has become known as local governance’ (p. 40). Nor is Atkinson a romanticist about local governance. He acknowledges many of the problems associated with local governance structures and bodies in terms of their (predominantly exclusive) constitution and composition, and asks whether such participatory arrangements can be aligned with traditional models of representative democracy. These problems present very complex challenges for local governance with deregulated power and marketisation guiding public sector organization toward private sector logic. Working through these governance puzzles will continue to be a focus for local democracy in England and no doubt in countries across the globe undergoing similar economic, social and political transformations. This post represents the views of the author, and not those of Democratic Audit, the LSE Review of Books (on which it originally appeared) or the LSE. Andrew Wilkins is Research Fellow in the School of Education at the University of Roehampton. He is project leader for the ESRC-funded project SASE (School Accountability and Stakeholder Accountability, 2012-15). The project examines issues related to governance and accountability in the current British school system. He tweets at @andewilkins. Wichtige Diskussion: UK muss sich als Nation neu erfinden: From New Labour to the Big Society http://t.co/uWrJDb3WZ2.